Portable dog fences are designed to keep your pooch safe when playing outside. But it’s understandable if some dog parents hesitate to buy one given the confusing number of products out there. Read this guide to buy a great portable dog fence with clear, not dubious, benefits. 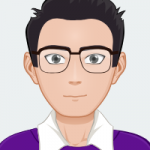 There are reviews listed below that you can consider as suggestions. There are many ways to keep your dog in a certain area. And portable dog fences are considered one of the best. Portable dog fences, as the name suggests, are easy to transport. You can easily move these indoors or outdoors, or when you go on a trip. Conveniently change the perimeter of the fence as the situation commands. You can alter a portable dog fence in size as your pet grows from a puppy to an adult. Portable dog fences are designed for outdoors. As a result, they are highly weather resistant and durable. On average costs less than a permanent fence. Easy to install and maintain, compared to a permanent fence. They come in parts to be assembled. So these fences are less sturdy compared to permanent ones. In general, portable dog fences cover a limited area. Permanent fences can be as big as you like. Portability makes these fences lightweight. So it might not suit a large breed dog who likes to be active. 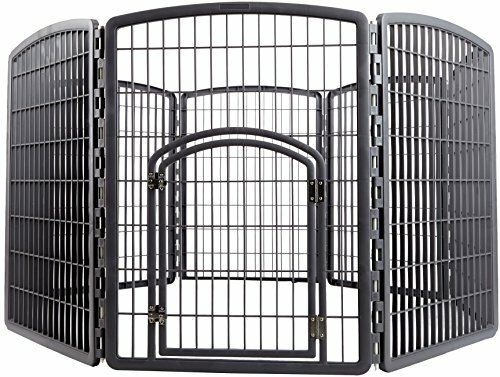 Functionality of a portable dog fence can vary a lot depending on the brand and type you buy. 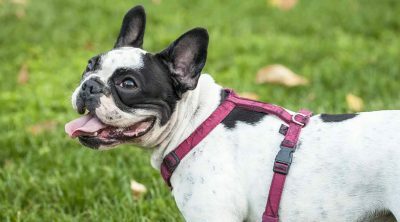 Overall, there are distinct benefits portable dog fences offer that pet owners won’t be able to ignore easily. It’s primary function is to keep your dog safe after all. Physical dog fences are like a big cage but without the top. These fences are made from metal wire or plastics. 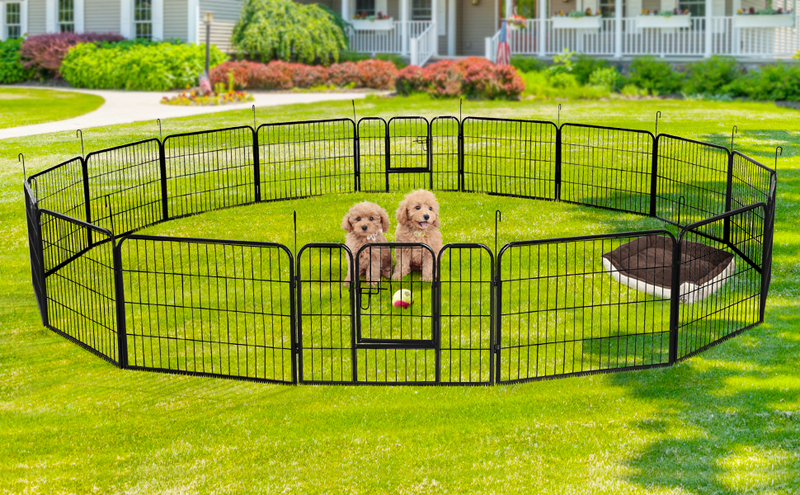 The fence is designed to encircle your dog in a specified area. Physical dog fences offer a great advantage in that these doesn’t allow other animals to get close to your dog. 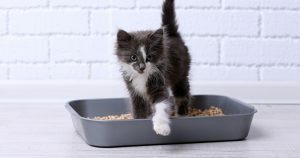 The material is usually sturdy so your pet cannot chew and get through either. Physical dog fences tend to be more flexible. You can shape these as you like. Plastic fences are significantly lightweight as well. So far, physical dog fences tend to be the most popular. In general, you could say that these fences are the most effective as well. Also known as invisible fences, this type of product essentially creates an invisible barrier around your dog. Unlike with physical fences, there are no plastic or metal barriers to keep your dog confined. This is a good option if your dog don’t like feeling caged, as physical barriers can sometimes do. Electric dog fences create a barrier using, well, electric signals. You can determine the borders for the barrier. The fence is not complete with a radio-enabled collar. When your pet approaches the boundaries of the barrier, the collar gives off a warning signal, indicating the pet to move inside. Sometimes, it may issue a small static shock warning to prevent the dog from running off. Electric dog fences can prevent restless pets from digging underneath a barrier to get out. However, these can go off if the power is cut. Wireless dog fences are a highly portable type of electric dog fences. These fences have an electric transmitter with an adjustable radius. Meaning, you can change the electric signal to cover an area as big as your whole house, or as small as the lawn. Wireless dog fences always cover a circular area. So you can’t cover any area as you like. The device emits a signal like a wi-fi router. So it’s only limiting as the electric signal allows. Regardless, wireless dog fences are highly popular in the U.S. Some pet owners prefer these as it doesn’t make the dog feel caged. Manufacturers usually use metals like stainless steel or iron to design portable dog fences. Metal fences are sturdy and highly durable. These might be slightly on the heavy side, but your dog can’t chew through metal. The material can corrode, but high-quality dog fences are coated to prevent corrosion. A study polymer is used sometime used in high-quality dog fences. The plastic can be as rigid as metal, but without the excess weight. Plastic dog fences don’t corrode either. While your dog won’t be able to chew through a good product, some cheaper versions use flimsy plastic that don’t last. Consider your dog’s personality when buying the fence. Some dogs might be fine in a confined area. But active, aggressive, or playful dogs may need a lot of room, sturdiness, and careful consideration than usual. 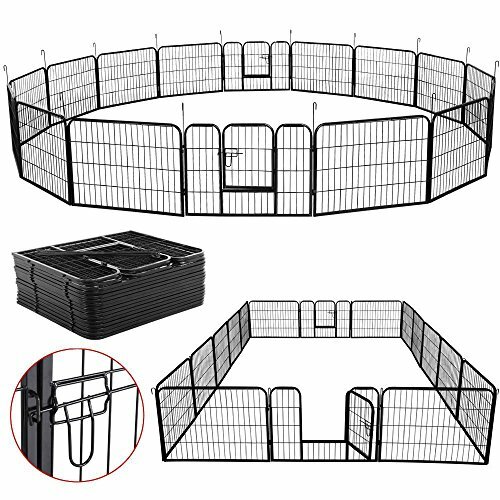 The portable fence should be big enough for your dog to move around. Therefore, measure the size of your dog to purchase a roomy fence that won’t irritate your pet’s mood. Pets who are expert diggers should not be in physical fences. Use a wireless dog fence to prevent unexpected escapes. Consider the overall weight of the fence to make sure it can fit with the rest of your travel gear. This portable dog fence is made up of 8 panels each. The rectangular panels are available from 24 inches in height to 48. The panel units are intended for any dog breed type. You can assemble the panels in any combination to create a fence. It can assemble like a cage, or it can go circular around the dog. The panels are made from metal. Each panel has dual layers of black e-coat finishes to keep corrosion at bay. 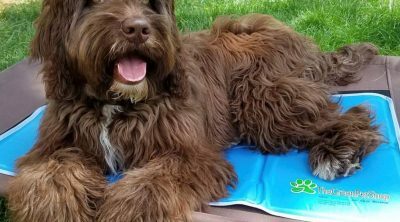 The brand says the units are suitable for dogs weighing from 26 pounds to 40. The panels come together in place using 4 thumb-snaps. Assembling is not complicated as a result. You won’t need any tools to assemble the fence. Overall, the entire package is relatively lightweight and ready to move. The fence is a complete enclosure, though. There is no door unit to move the pet in and out. The user would have to remove a panel to get the pet out, or at least lift it from top. You can, however, separately order a panel with a door. 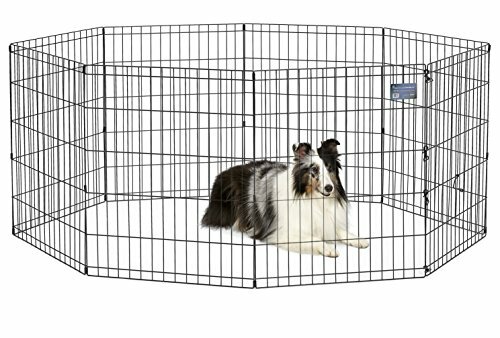 Overall, this roomy portable fence would well suit larger dog breeds that need more space. The panels are nearly perfect for outdoor use too. The lightweight and compact panels might be just what you need for road trips. This massive portable fence is perhaps best suited for multi-dog households. The fence includes 16 panels made from powder coated cast iron. Each panel is 24 inches in height. The panels include a mesh filling, and also doors. This fence is designed to fold into most shapes. You can create a circular or rectangular fence using the panels. You can combine to create unusual angles not typically available with most portable fences. If you need a smaller unit, you can split the panels into an 8-piece unit. Interestingly, the panels all have rounded edges to protect the pets. The pieces fix to each other using hinges. The fence is suitable for indoor or outdoor use. There are stakes available to fix the panels to the ground outdoors. The stakes work well, but they don’t much help when the ground is uneven. Dog owners who need a lot of room for their pets may like this fence a lot. It does have a few minor problems, though. The cast iron material makes the fence a bit heavy overall. Also, expect to pay over a $100 for the product. That might be a bit too expensive for a portable dog fence. 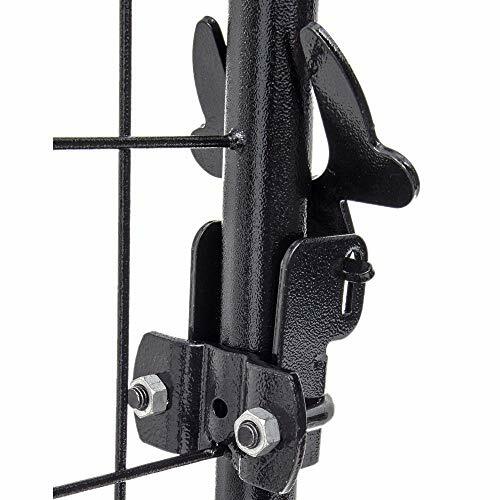 If you are looking for a high-end electronic pet fence, this might be it. This wireless fence may not be for everyone. The initial price tag is around $150, so it’s definitely only for serious users. The collar is designed to fit neck sizes from 6 to 28 inches. It’s recommended for dogs weighing 8 pounds or more. 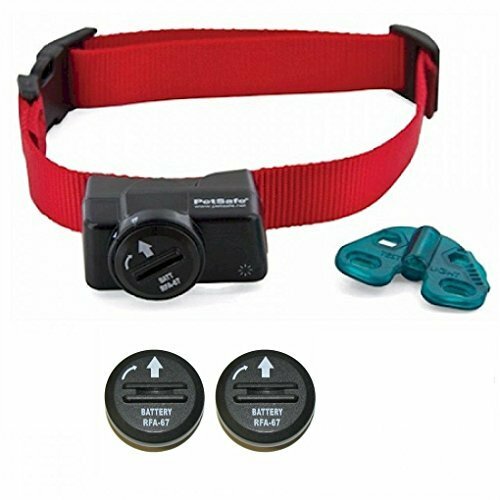 The collar comes with two batteries, and a waterproof receiver. The brand says it’s compatible with other containment systems from different models. The system has 5 adjustment systems. You can alter the perimeter more conveniently with these adjustments. This is a kind of a unique feature for devices of this sort. The collar gives a tonal alert to the user as a beep on their phone if the pet wanders far off. There’s a perk for multi-dog households: The radio containment system can support several other collars as well. The collars weigh only 2.5 ouches, so it’s quite lightweight for pets. There are lots of other convenient features bundled in the package. The collar has a low-battery indicator—a small light that flashes every few seconds. Portability wise, this system is lightweight and doesn’t have any bulk to carry. But as with most wireless systems, it’s fragile and prone to physical breaks. This portable dog fence comes in heights from 24 inches to 40 inches. 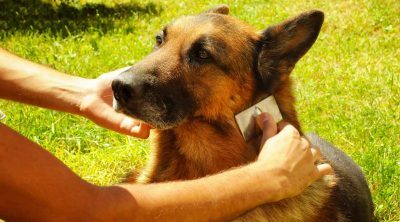 It’s suited for large breeds like German shepherds and golden retrievers. 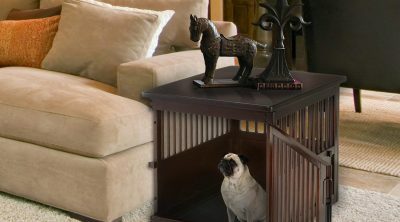 If you have a jumpy little pooch, this enclosure would most likely keep him or her secure. This unit promises easy assembly. It doesn’t come in separate panels. The panels are already connected, so you only need it to assemble it in the shape you want. The kit allows three shapes: a rectangle, an octagon, or a square. The unit comes with a door and stakes to fix it outside. The playpen slash dog fence is considered well suited for outdoor use. The fence is made from a durable iron material coated in black paint to prevent rust. The fence is sturdy and heavy. It’s designed to stay in place even during bad weather, like storms. Snow and rain won’t damage the panels of this unit, according to the brand. This dog fence is made for campers. Though the parts are iron, it’s not bulky and supremely heavy. So the unit is easy enough to carry on a road trip. Once downside is that some dogs can learn to climb the wiry constructions connecting the panels. Also, the price tag is close to a hundred bucks. This portable dog fence measures 63 by 63 inches, with a height of 34 inches. It provides plenty of room and security for small dogs and puppies. If you have a little puppy with boundless energy, this enclosure might be the best for keeping it safe. The 8 interlocking panels are made with narrow wire mesh, so smart little puppies can’t squeeze through and escape. The panels are made from commercial-grade plastic. So overall this dog fence is very lightweight and easy to carry. One of the panels include a hinged door with a security latch made from double steel. You can get the fence in multiple colors. It doesn’t cost a lot either. This fence is suited for both indoor and outdoor use. However, the lack of weight makes this fence really easy to bend. A heavier dog can simply lean on one of the panels to bend the enclosure out of shape. Also, if the puppy starts teething, beware of the plastic material. The pooch will definitely start chewing on it. It’s advisable to provide the puppy with plenty of toys to keep it distracted from the plastic railings. All in all, this enclosure might be best suited for dog owners who want to keep their pooches primarily indoors. Unlike metal railings, the plastic enclosure won’t damage delicate flooring. This is one of the very few portable dog fences that come with a roof enclosure. Unlike with most dog fences, you don’t need to buy extra panels or make custom modifications to cover up the dog fence. The unit comes with a waterproof tarp. It can protect your pooch from harsh sunlight, rain, and snow. The dog fence is made from heavy-duty steel. The manufacturer says the unit has a “rust resistant” wire to improve the durability of the dog fence. The panels are welded together. The steel is well coated to prevent any rough edges that could harm your dog. Energetic puppies won’t be able to chew through the metal. The panels are easy to set up. It’s pre-welded, so setup won’t take longer than 10 or so minutes. The door of the enclosure has a powerful latch that won’t easily give off. The 4 by 4 dog fence stands 4.5 feet tall with the tarp. Without it, the height is 3.5 inches. The size is significantly small so this enclosure might not suit owners with large pets. But it’s should be a good fit for small breeds and puppies. There’s certainly a lot of excellent portable dog fences for owners to choose from. 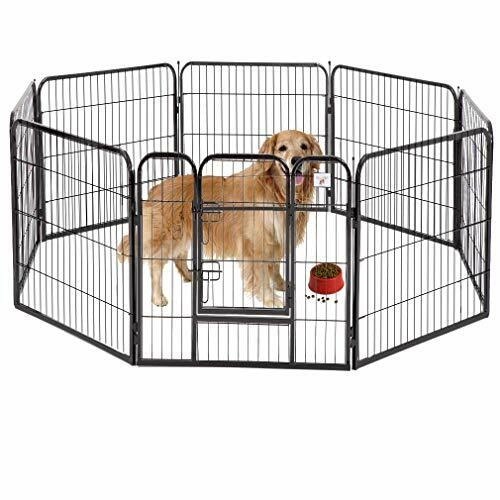 But the most worthwhile product in the above list is very much the Midwest Exercise Pen dog enclosure. 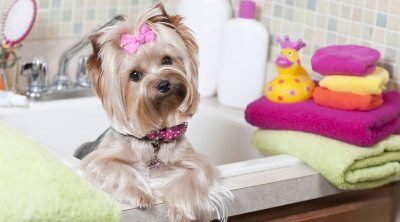 It is the biggest on the list that offers a lot of playroom for dog breeds of any size. You won’t have to change the fence as your puppy grows into a big dog either. The rust-proof metal panels are quite weather resistant and offers long-lasting sturdiness. Despite the metal frame, the unit in total remains lightweight and easy to carry anywhere. There are certainly other top-notch products listed above. 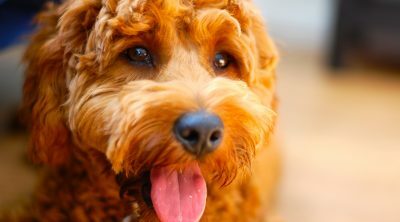 Read through the pros and cons and choose the best dog fence that will best keep your pooch secure and happy inside.